Ricki Lewis is a science writer with a PhD in genetics. After writing life science college textbooks for many years and zillions of articles, she is looking forward to publication of her first "real" book: "The Forever Fix: Gene Therapy and the Boy Who Saved It," from St. Martin's Press, February 2012. Ricki earned her doctorate in 1980 from Indiana University, working with flies that had legs growing out of their heads and mouths. Not seeing a bright future in healing insect appendages, and loving writing since childhood, Ricki took a graduate science journalism course, and her life changed. After grad school, Ricki did a stint as an assistant professor at Miami University, where they needed a person under 80 with two X chromosomes to teach human genetics. She also began writing health-related articles for the Cincinnati Enquirer’s Sunday magazine. Shortly before leaving Ohio for upstate New York 18 months later, about to burst forth her first F1 (genetics-speak for offspring), Ricki encountered five academic publishers waving contracts for college textbooks in her face. She signed her life away. Four textbooks (in many editions) and thousands of articles followed. Ricki was the founding author of the intro biology textbook Life, and is a co-author of two human anatomy and physiology textbooks. But her favorite is Human Genetics: Concepts and Applications, now in its ninth edition, all for McGraw-Hill Higher Education. She also published an essay collection, Discovery: Windows on the Life Sciences, for Blackwell Science in 2001. Her first novel, Stem Cell Symphony, was published in January 2008, and is based on her experiences as a hospice volunteer. Ricki’s articles have appeared in scientific, medical, and consumer magazines and journals, including Discover, The Scientist, Science, Nature, Playgirl, Self, Health, Woman’s World, Genetic Engineering News, High Technology, The New York Times Book Review, FDA Consumer, BioScience, and many others. She writes biotech reports for Cambridge Healthtech Associates and the Cure Huntington Disease Initiative. With textbooks headed towards extinction, or at least evolution into a new form, Ricki is adapting and diverging. Her first book for Routledge Press’s "The Basics" series, Human Genetics: The Basics, will be published in the fall of 2010. The engaging, narrative style is a departure from the textbook world. Ricki does things other than write. Since 1984 she has provided genetic counseling at CareNet Medical Group in Schenectady, NY. She taught a variety of life science courses at SUNY Albany, Empire State College, Schenectady County Community College, and a traveling children’s museum. She currently teaches "Genethics" online for master’s degree students at the Alden March Bioethics Institute of Albany Medical Center. Ricki is also a scientific advisor for the American Film Institute. Volunteer activities include hospice, the Union College Academy for Lifelong Learning, and several committees for the American Society of Human Genetics. 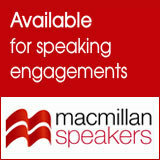 She is registered with the Macmillan Speakers Bureau. Ricki grew up in Brooklyn, NY. She attended James Madison High School and SUNY Stony Brook. She is married to Larry Lewis, a chemist at GE, and they live near Schenectady, NY and sometimes on Martha’s Vineyard. They have three grown daughters, many felines, and a tortoise. Ricki loves hippos and drives a royal blue mini-Cooper named Tawanda.